The Garrett Pro-Pointer AT, or sometimes now known as the “Carrott” because of its vibrant orange colour and carrot like appearance has earnt its reputation of probably the best pinpointer metal detector money can buy. Garrett has created a pinpointer that lives up to the AT in its name. AT standing for all-terrain. 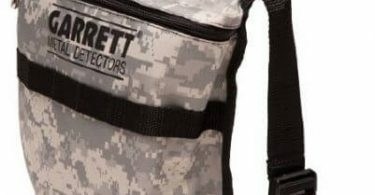 The Garrett AT Pro-pointer is specially designed in a way that it is protected from the environment and the elements. It is also one of the only pinpointers that is fully submersible in water to a maximum depth of about 3 meters. If you don’t know the benefits of owning a pinpointer then you really should experience it for yourself. Pinpointers are not a necessity to the hobby, however, if you’re looking to increase your find rate, make life much easier and speed up the recovery of the target you should really consider buying one. If your budget allows it of course. There are much cheaper pointers available than the Garrett Pro-Pointer AT but how do they compare? Let’s take a closer look at the Garrett Pro-Pointer AT Review. Well, the first thing you’re going to notice is that it looks like a carrot, a vibrant bright orange. This is actually rather clever. If this one problem with carrying a pointer with you while detecting its that on numerous occasions if you’re a bit of a clutz like me you’re going to put it down and forget it. Then you’re going to have to go back and look for it. The bright orange colour actually will help in this situation. The casing is rugged, versatile, strong and features a patented scraping blade which is great for when you’re scraping around in the hole trying to locate the target. The casing is also waterproof to IP 68 standards but we will talk more about this in the features. So taking a closer look at the diagram this is how the pro-pointer AT breaks down. You have the lanyard attachment loop which is perfect for attaching the pinpointer to you. Sealed battery cover, the batteries (1 x 9v) fit nicely beneath. Waterproof speaker, the on and off button which is also used for fast re-tune, LED flashlight for added light in poor or dark visibility, 360-degree detection tip and the patented scraping blade. The pointer measures in length 9″ (22.9 cm) Thickness 1.5″ (3.8 cm) and this is tapered down on the point to .875″(2.2cm) the total weight is 6.5 oz. (0.2 kg.) and that’s including the battery. The Garrett Pro-Pointer AT is IP68 approved meaning it’s fully waterproof to meet the IP standards. It has a 3 metre or 10 feet maximum waterproof depth range. There are 3 sensitivity levels you can choose. It has “fast re-tune” which claims to help in a number of ways like shrinking the detection field to help with pinpointing larger targets, compensates and auto adjusts to the ground mineralisation and helps in pinpointing multiple targets opposed to one large target. 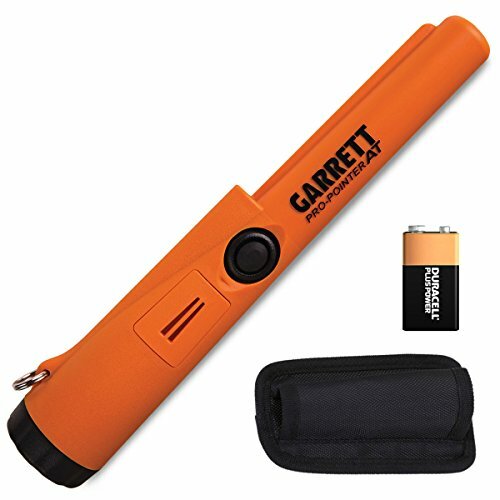 Back to the times, you are going to be in a field and lose your pointer if you’re anything like me, the Garrett pointer not only has high visibility in its bright orange glory but it also has a “lost pro-pointer alarm” how cool is that? After 5 minutes of no button pressing the pointer will send out periodic little help cries in the way of chirps! It saves on battery life with the auto power off features, of course after its been sending out 60 minutes of warning beeps from the lost pro pointer feature. They also claim that the Garrett Pro Pointer AT has twice the battery life of other pointers that feature and LED light. I’m sure this is a bold extreme claim but it does probably out-last others. The LED flashlight is fantastic for poor visibility or dark conditions helping light up the hole your scraping around in so you can better see if your target pops out. It also comes with a funky woven belt holster for attaching to your belt. This is my current Pro-Pointer, so this is my honest opinion. The Garrett Pro-Pointer AT pinpointer really is the best on the market, most pinpointers do the job so don’t worry if you can’t stretch the budget. I just think its well worth saving up for. I believe it’s going to last you for absolutely years to come and in comparison to others, I have owned it really does outperform them. It makes the difference trust me. As I said though others will do the job, just not to the standards the AT pointer will. There’s actually nothing about the Garrett Pro-Pointer I don’t like so far and that’s after 10 months of owning one. It’s of a solid structure and you won’t feel like it’s going to break on you when you’re bashing it around in the hole, its waterproof so no worries of getting it wet, perfect for if there’s a little stream somewhere nearby as well. Made in the USA and has a 2-year warranty. Battery wise I’m not too sure about the twice the life of other pointers claim, but I roughly get around 12 hours on one charge. I would always recommend buying rechargeable batteries for both the pointer and for your metal detector this saved me an absolute fortune over the years. Note: They claim the 30 hours is on new alkaline batteries. Many reviews on Amazon for the Garrett Pr Pointer AT will back up my claim too! Over 80 positive reviews to be precise. My advice save up and buy one, or if you can afford it then buy it! The following reviews have been taken from the Garret website. 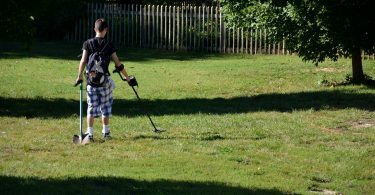 The Best Beginners Metal Detectors For All Budgets in 2019!